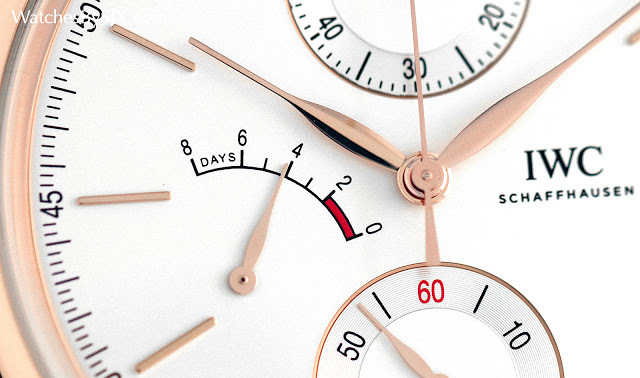 A large but slim single-button chronograph, the IWC Portofino Hand-Wound Monopusher Chronograph is equipped with a brand new movement featuring a smartly designed, compact chronograph mechanism. 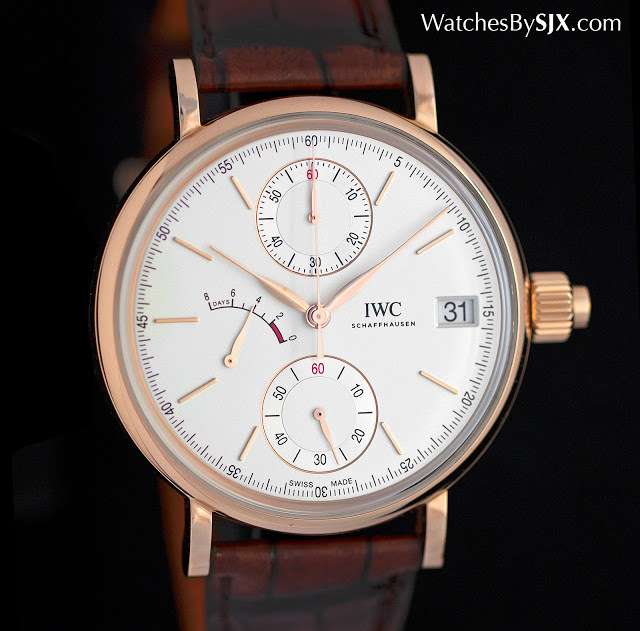 The Portofino Hand-Wound Monopusher Chronograph is the latest from IWC and its first ever single-button chronograph. Fittingly for a brand that has long emphasised good engineering, the movement is an admirable feat of concise watchmaking, with the entire chronograph mechanism packed into a small area just just 1mm high. Chronograph mechanisms typically take up a lot of space because of all the gears needed for each of the chronograph registers. Traditionally constructed chronograph movements like the Patek Philippe CH 29 and Lange Datograph are good examples of this. But the new calibre 59360 manages to do it in a relatively narrow space. Getting there took a long time, with the launch of the watch having been delayed almost three years. 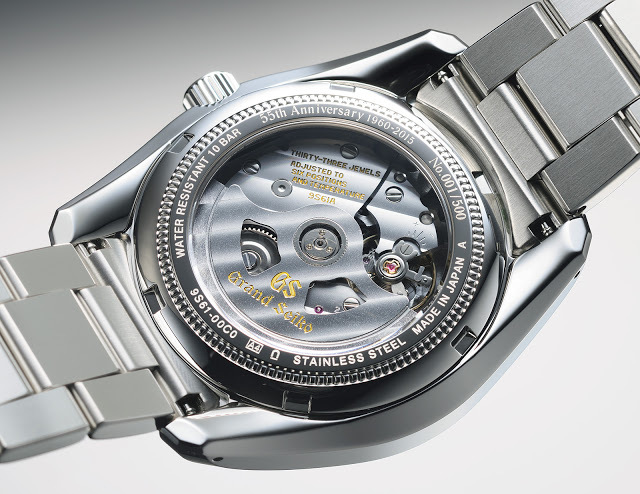 Seen from the back, the chronograph mechanism is underneath a large bridge that occupies the top third of the movement. The visible components of the mechanism are wide and flat, helping to keep its overall height down. 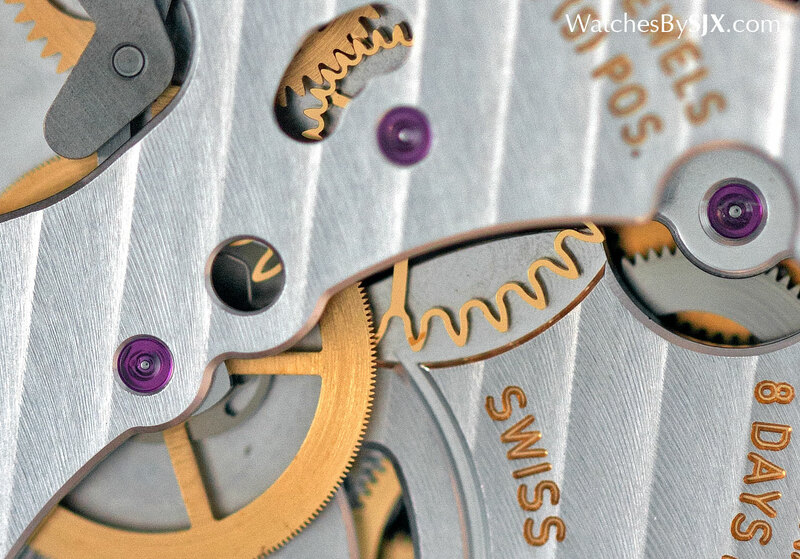 One intriguing feature of the movement is a pair of gears produced with the UV-LIGA, a photolithography process that creates precise and tiny structures. That allows the pinion and wheel to be manufactured as a single piece, ensuring they are perfectly aligned, according to Thomas Gäumann, IWC’s head of research and development. Because the chronograph mechanism is situated only on the top third of the movement, so are the counters on the dial. 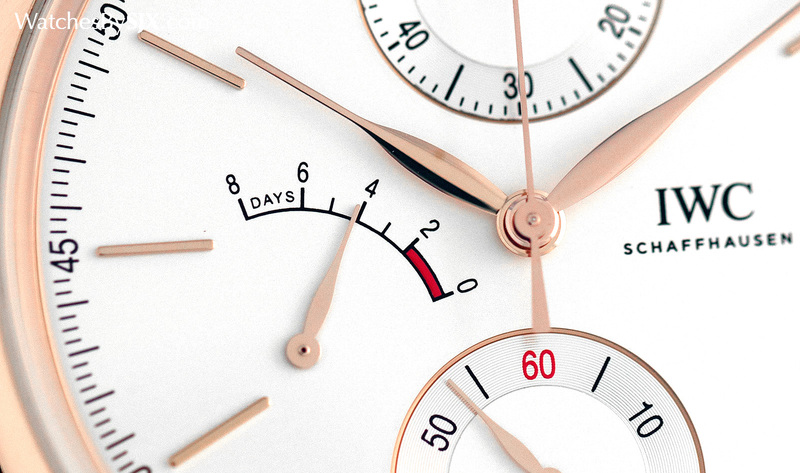 The 60 minute counter is at 12 o’clock, while the elapsed seconds is in the centre (the seconds at six is constantly running). The rest of the movement is identical to the hand-wound calibre found in the Portugieser Hand-Wound Eight Days and Portofino Pure Classic. Fully wound it runs for eight days, possible thanks to a large barrel and a smallish balance wheel, so the movement consumes little energy when running. 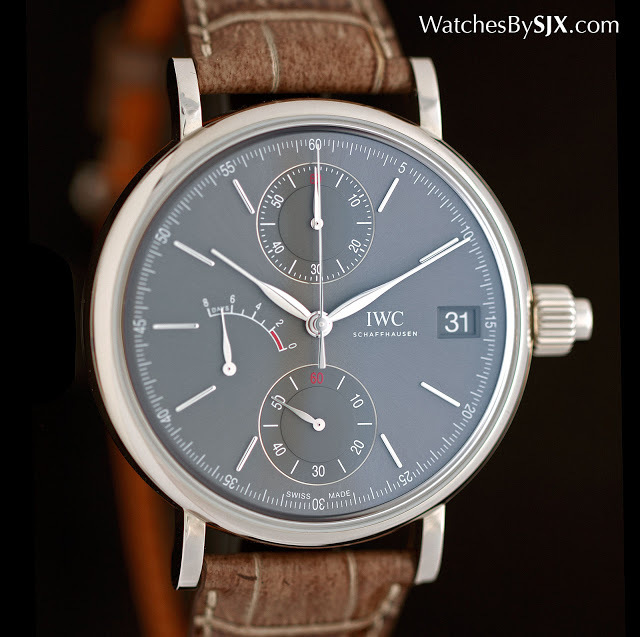 Though the construction of the chronograph is admirably clever, the movement is wide and flat, lacking the visual appeal of IWC’s flagship calibre, the 52000 in the Portugieser Automatic 7-Days and Perpetual Calendar. 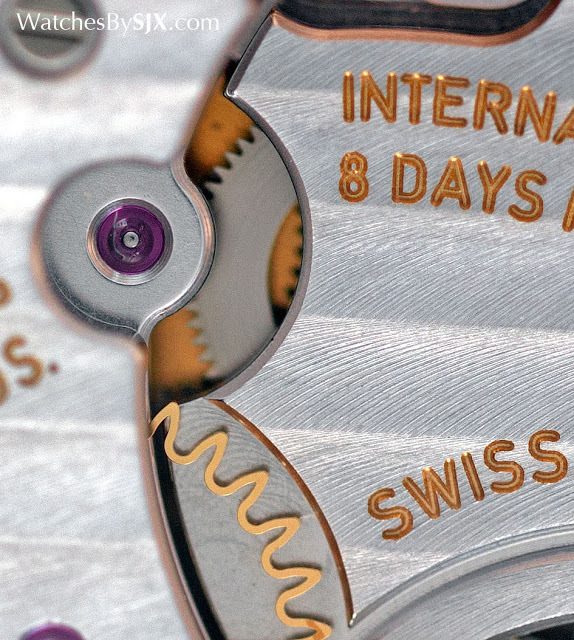 Like other IWC movements, the finishing is attractive but done entirely by machine. The Portofino Hand-Wound Monopusher Chronograph is 45mm in diameter, and 13mm high. Like the other watches in the Portofino line, the chronograph is fitted on alligator leather straps made by Italian shoemaker Santoni. They are finished with an antique-look patina for that Italian style that the Portofino is meant to represent (and something chief executives Georges Kern alluded to in our recent interview). The Portofino Hand-Wound Monopusher costs US$27,100 or S$38,900 in white gold, and US$25,400 or S$36,900 in red gold. A 500-piece limited edition for the 55th anniversary of Grand Seiko, the SBGR097 features an extra-large case and a dial embossed with a Grand Seiko guilloche. While the typical Grand Seiko wristwatch tends to be small by contemporary standards, with most under 40mm in diameter, the new Grand Seiko 55th Anniversary SBGR097 is steel and 42mm, giving it a significantly more modern feel. Case size aside, the SBGR097 still retains all the signature features of Grand Seiko, including an in-house movement as well as diamond-cut hands and hour indices. Though the style is characteristic of Grand Seiko, the dial features an unusual finish found only on limited edition Grand Seiko watches. 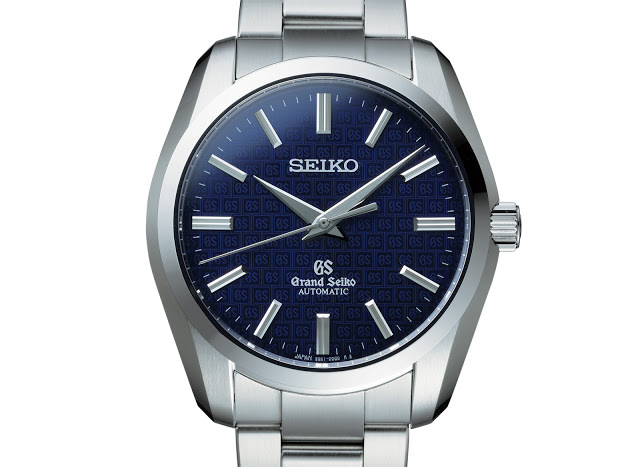 The dial is dark blue, with an embossed, repeating Grand Seiko logo. All the hands and hour markers are diamond-cut, giving them reflective, razor sharp edges that catch the light for better legibility. 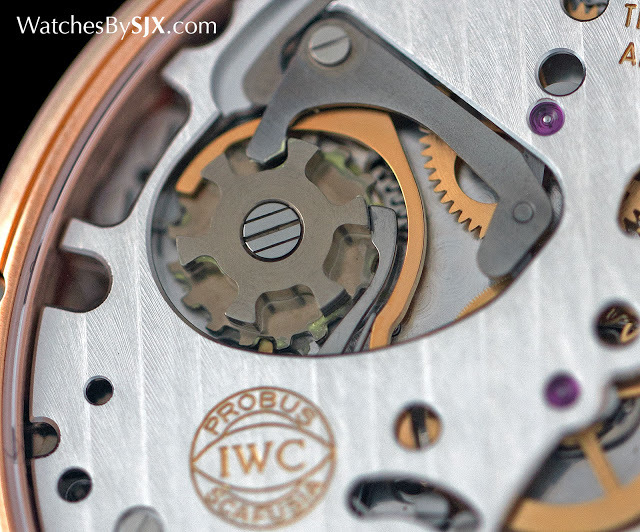 A display back reveals the 9S61 movement inside. It’s self-winding with a three day power reserve. Limited to 500 pieces, the Grand Seiko 55th Anniversary SBGR097 is priced at U$4100, and will be available to Grand Seiko retailers worldwide. Seiko unveils a pair of limited editions to mark a decade of the Grand Seiko GMT. 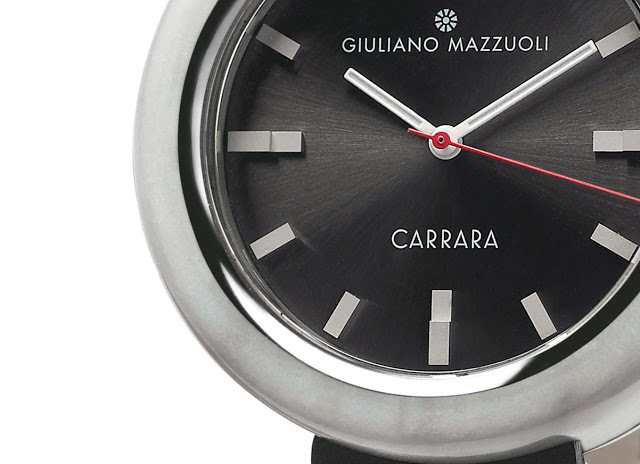 Giuliano Mazzuoli uses the famous marble quarried in Tuscany for the watch case of the Carrara, a wristwatch modelled on his signature Manometro. Italian designer Giuliano Mazzuoli, best known for the Manometro wristwatch inspired by a pressure gauge, has turned to the city of Carrara for its famous marble to fabricate his latest watch case. 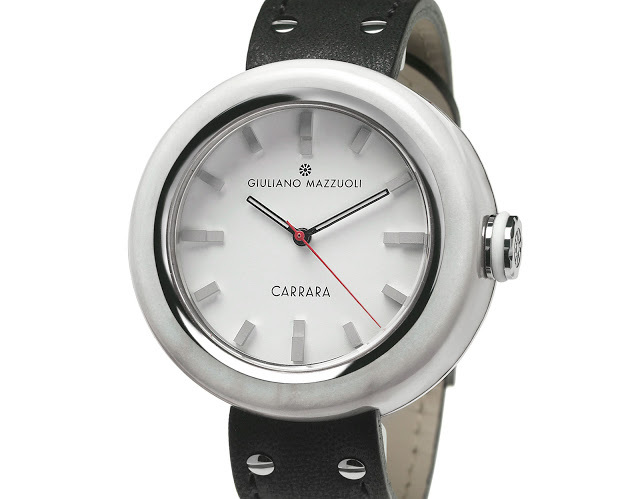 The Carrara wristwatch features a cylindrical case made from the signature white marble of the northern Italian city. Located at the northern end of Tuscany, some 100 km from Florence, Carrara is famous for the marble quarried there. Some of the most storied buildings and artwork in the world contains marble from Carrara, including the Pantheon in Rome, and Michelangelo’s David. This white marble with faint grey veining is machined into a cylinder and bonded with an inner steel to strengthen the marble. 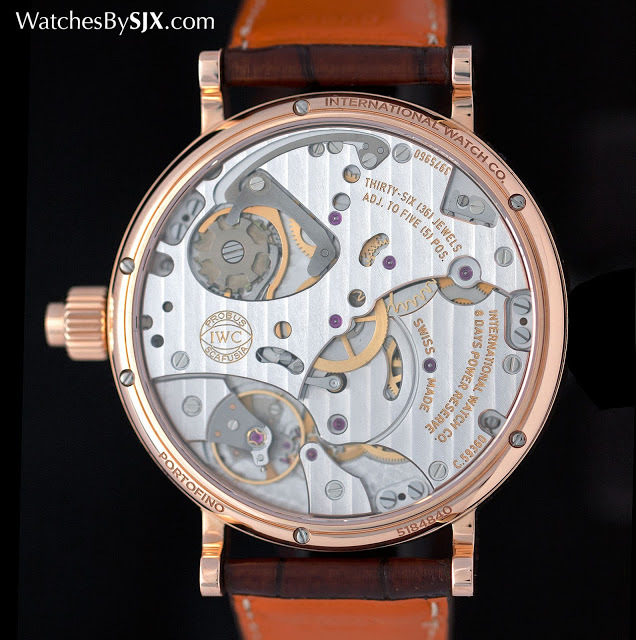 The resulting case is 45mm in diameter and streamlined, much like the Manometro. The strap attaches directly to the case, without any lugs. 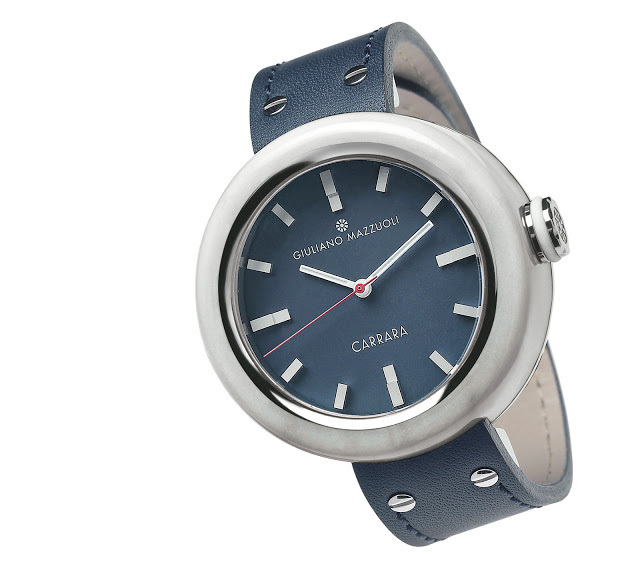 The Carrara is available either as a time-only wristwatch or a chronograph. The time-only model is equipped with an automatic ETA 2824, while the chronograph is powered by a self-winding Valjoux calibre modified by movement specialist La Joux-Perret. The Carrara wristwatch is priced at €3600 for the time-only model, and €5800 for the chronograph.